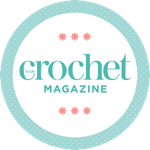 You can get six issues of Inside Crochet for only £19.99 at the moment. That's a saving of more than 40% on the cover price. Order yours online today.